d c stained glass studio, 11 Allhallows lane Kendal, LA9 4JH. I am open everyday (except Thursday and Sunday) from 9:30am till 4:30pm. And at other times by appointment. A selection of my birds sculptures are available to purchase or order, and as well you can discuss personalised designs and commissions. Homes and Gardens Show 2019 at Rheged on Friday 15, Saturday 16 and Sunday 17 March.The Rheged website at www.rheged.com/arts/cumbria-life-home-garden-show-2019 is fully up to date with our inspiring exhibitor listings. Green Door Art Trail 28 29 30 September. I will be exhibiting from my workshop each day between 10am and 5pm. Hope you can make it! Silverdale and Arnside Art and Craft Trail, 22-23-24 June 2018. I will be exhibiting at the RSPB Visitor Centre at Leighton Moss. Yew Tree Barn Christmas Fair, 1 -2 – 3 December 2017. The Dickensian Festival at Ulverston. 25-26 November 2017. I will be exhibiting alongside other makers in The Emmanual Centre on The Gill. Brantwood Christmas Fair, 11-12 November 2017. Brantwood, Coniston. 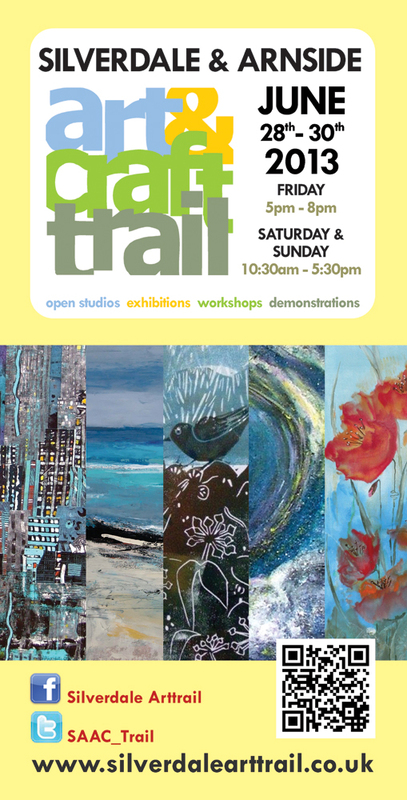 Art Trail Autumn, 27-28-29 October at the Educational Institute, Arnside and Pier Lane Gallery in Arnside. Silverdale and Arnside Art and Craft Trail 2017, 23-25 June 2017. Brantwood Winter Craft Fair, 12th and 13th November 2016, 10:30am – 5:00 pm. Adults £2.00. Children free. Green Door Art Trail Friday 8th-Sunday 10th April at The Methodist Church Room, Cove Road, Silverdale, LA5 ORR. Friday 6-9. Saturday 11-5, Sunday 12-4. Seven artists in group exhibition. 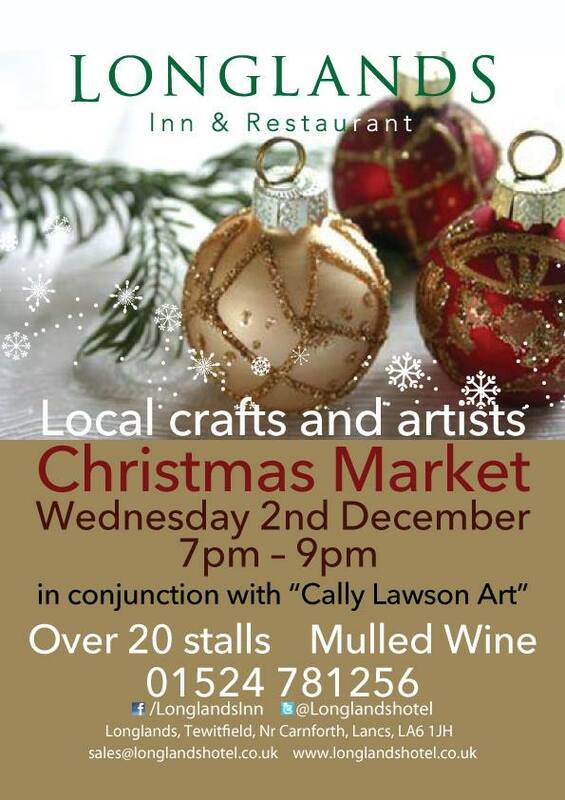 Christmas Shopping Evening, Wednesday 2nd December, Longlands Hotel. Christmas Craft Fair, The Methodist Church, Kirkby-in-Furness, Cumbria. 10am – 3:30pm. 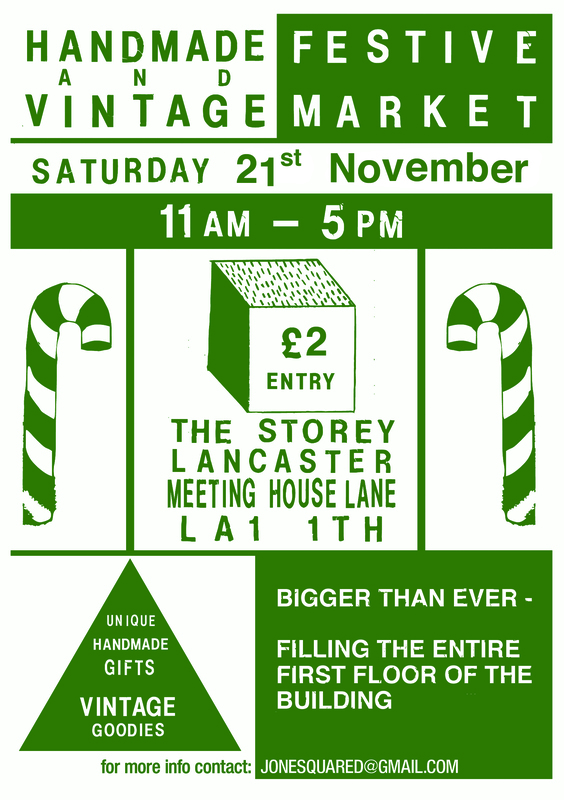 A range of stalls and refreshments available. SAACT Pop Up Gallery, venue 87 on the C-Art Trail. 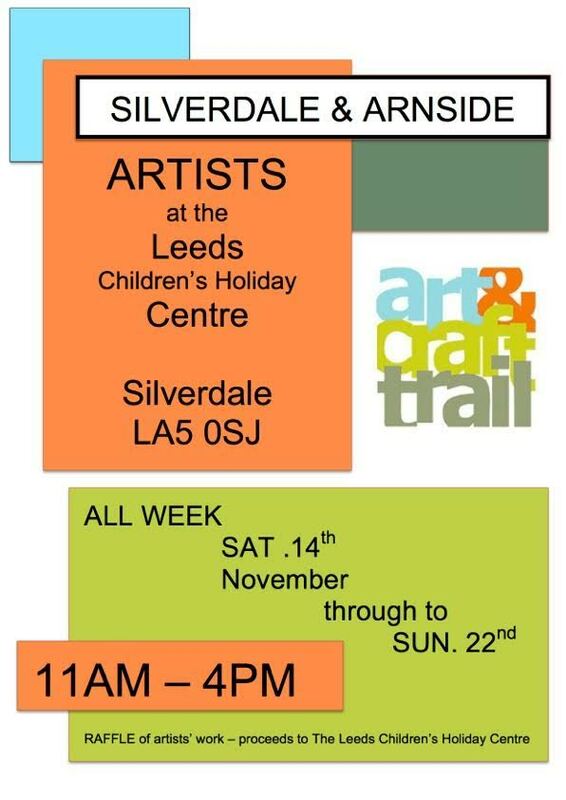 A group exhibition held at The Leeds Children’s Holiday Centre, Silverdale, LA5 0SJ. Saturday and Sundays in September, 13th/14th, 20th/21st, 27th/28th, 11am – 4pm. Preview Friday 12th September 7pm -9pm. Christmas Market, Saturday 30th November, 2pm-4pm, Gaskell hall, Silverdale. c-art. 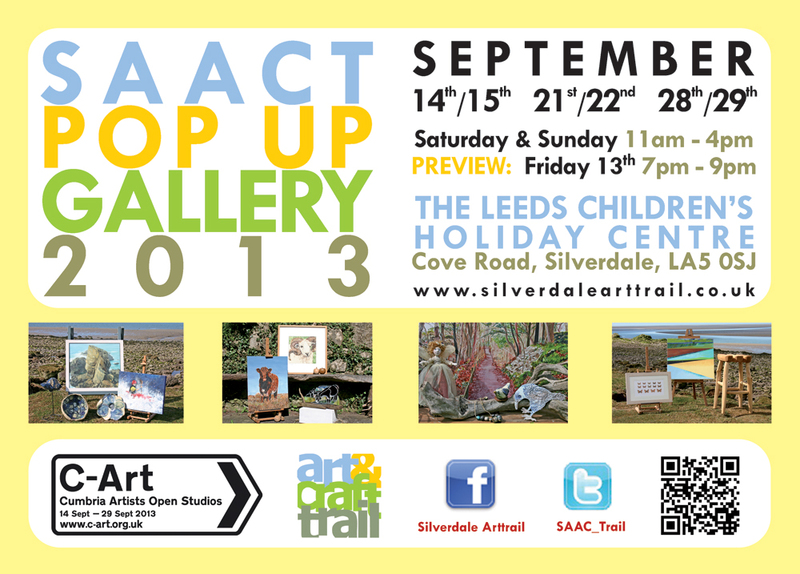 SAACT Pop up Gallery at The Leeds Children’s Holiday Centre, Cove Road, Silverdale, LA5 0SJ. Saturdays and Sundays, 11am – 4pm on 14th/15th, 21st/22nd, 28th/29th September. PREVIEW Friday 13th 7pm – 9pm All Welcome. (I will be exhibiting with other members of the Silverdale and Arnside Art and Craft Trail in an exciting group exhibition). Friday 26th July – Open Studio CANCELLED due to Summer Holiday commitments! Sat 24/11/12 CRAFT FAIR, Gaskell Hall, Silverdale, LA5 0RA, 2pm-4pm.